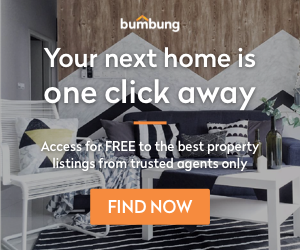 A recent study by Says.com shows that Malaysians are ready to buy their first home, though don’t because they are not willing to downgrade their lifestyle choices. Downgrading their lifestyle includes all types of expenditures, may it be car, house, technology, shopping, or even food and drinks. If their monthly income is high enough to buy a house without having to downgrade in any aspect of their lifestyle, then they have nothing to worry about. For people who cannot comfortably afford a mortgage payment with their current lifestyle, it’s either they keep working hard and wait for a promotion along with a pay raise to buy a house or they can downgrade certain aspects of their lifestyle to buy a house. It is hard for youngsters nowadays to cut down on their expenses as the trending lifestyle now is to own nice shoes, nice clothes, go on vacations overseas and even local roadtrips like Port Dickson, Penang, and etc. A pair of nice shoes from Nike or Adidas or nice clothes from named brands such as Zara or Tommy Hilfiger would at least cost RM200, roadtrips would be RM100 to RM200 depending on the distance and location. Even though it may not seem like a huge amount, but the frequency of expenditure is high which accumulates to a larger amount. This amount could be saved up for a future house. There are many ways for youngsters to stay up to the trend but still manage to save some money which firstly would be to stay away from big named brands as they are usually overpriced, mediocre quality, and the only difference is that the product is labelled with the name of the brand. Not only that, only go shopping when its needed, for example you need a formal suit and slacks for an upcoming company held event, and not because you want to look flashy and slick for the upcoming rave party. You definitely don’t need a Balenciaga or Gucci printed tee to look nice. Besides that, an easy way to save up money is to minimize the frequency of eating out with friends. Of course, a mamak “yumcha” session or rewarding yourself with a nice chicken chop with fries on the side is definitely fine once a while. Cooking and preparing your own meals for let’s say 16 out of 21 meals for a week if you’re having 3 meals a day would save you a lot of money compared to eating out at a “hipster” cafe. Even though many of us think that we can’t cook at all without setting the kitchen on fire, there are many simple recipes even for people who have only used a gas stove less than 5 times in their entire life. In conclusion, the younger generation have only two options at this point in order to eventually afford a property, which are either downgrading their lifestyle in order to accommodate another financial responsibility or step up their hustle game and work harder for that promotion.